When you think of premium luxury in the automotive market, one of the first brands to come to mind is probably Bentley. They have been building luxurious machines for decades, over a century in fact, and they’ve become almost synonymous with premium in the auto industry. 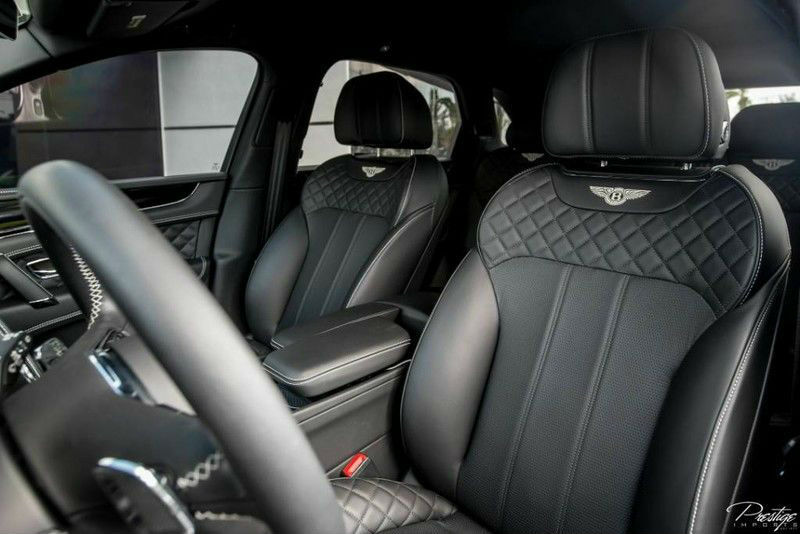 In 2016, they introduced a brand-new midsize crossover that has quickly rocketed to the top of its segment, and we’re pleased to have one available right here at Prestige Imports in North Miami Beach FL: a gently-used 2017 Bentley Bentayga W12. 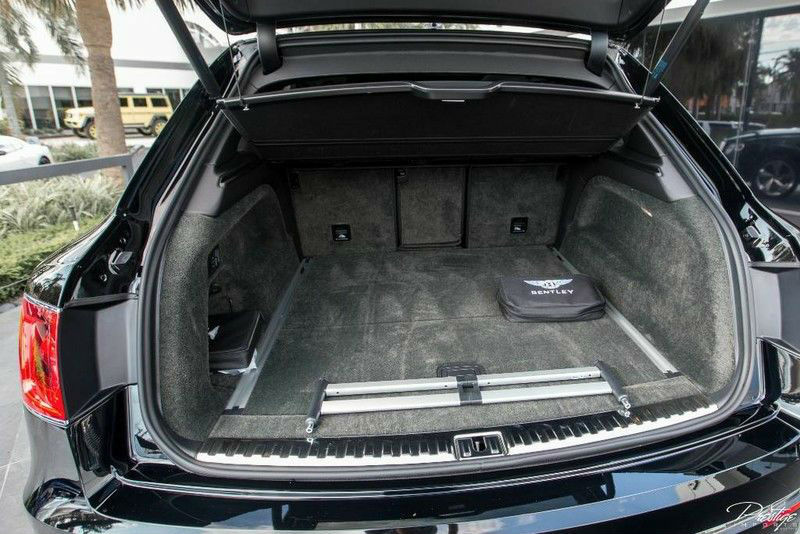 The Bentayga W12 was the first to use Bentley’s brand-new 6.0L, 12-cylinder, twin-turbo engine. The engine generates an estimated 600 horsepower and 664 pound-feet of torque, making it capable of hitting 0-62 miles per hour in roughly 4.1 seconds. Keep in mind, this isn’t a sports car – this is a luxury crossover, so that kind of power and speed is absolutely insane! But performance isn’t its only claim to fame. As we said, it’s not even a sports car, the power is just a huge bonus! The Bentayga is absolutely PACKED with incredible features from proximity key and push-button start, to a real-time traffic display, to wireless streaming, to its valet function, and even refrigerated boxes located in the glovebox and door bins. 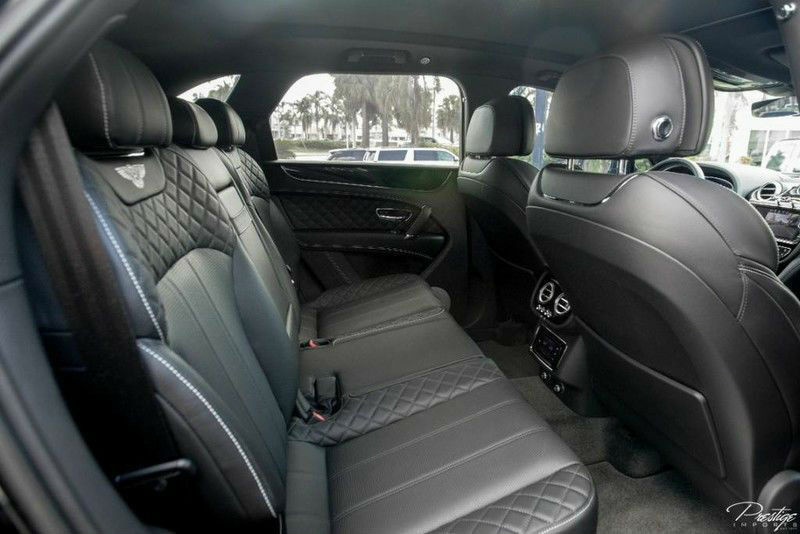 This 2017 Bentley Bentayga W12 has plenty of bells and whistles to appease just about any driver. Furthermore, it’s only got 8,337 miles on the odometer, which is well below the national annual average for mileage, meaning it has truly only been gently used. If you’d like to find out more, or perhaps take it for a spin yourself, be sure to get in touch with us either right here at the sales desk or by filling out a form on the website. This entry was posted on Friday, January 12th, 2018 at 5:00 pm	and is filed under Bentley. You can follow any responses to this entry through the RSS 2.0 feed. You can skip to the end and leave a response. Pinging is currently not allowed.